Unloading fish in the Vladivostok harbour. The Russian government has promised to construct the Vladivostok free port‘s first grain export terminal in two years. However, Russia is banking more on the exports of soy, meat and fish. Within five years the Russian Far East will not only become self-sufficient in agricultural production, but will also export food products to Asian countries, Dzhambulat Hatuov, Russia’s Deputy Minister of Agriculture said at the Eastern Economic Forum on Sept. 3. Due to the devaluation of the ruble, the cost of labor and energy in Russia has decreased significantly, making agricultural products up to 15 percent cheaper than in China, says Vitaly Sheremet, KPMG partner in Russia and the CIS. The most promising markets for farmers in the Russian Far East are China, South Korea and Japan, he adds. According to the Russian Ministry of Agriculture, Russia faces a huge trade deficit with Asian countries in agricultural products. Exports from Russia total just 29 percent of the overall agricultural trade between Russia and Asian countries. The Russian government intends to change this situation radically and to support investors in the Far East. The government already subsidizes cheap loans and is going to reimburse 25 percent of the capital costs for investors in agricultural products. According to Sheremet, soybeans and soy products are among the most popular products in Asia. “By happy coincidence, they are grown in the Far East,” he says. According to KPMG, Russian soybeans account for just 0.5 percent of Asia’s total imports and mainly go to China. According to Hatuov, soy production will be doubled in the near future. The official also predicted an increase in the production of corn, oilseeds, meat, and milk, and the revival of the sugar beet production in the region. “As for fish, considerable potential is seen in fish products,” Sheremet says. “According to our calculations, fish products exports will increase revenue fivefold in dollar terms." According to Maxim Basov, head of large meat producer Rusagro, pork is 50 percent cheaper in Russia than it is in China. He adds that Russian Far Eastern pork has a price advantage over Vietnamese pork in the Chinese market. In the end of 2015, China lifted a ban on Russian wheat imports. According to forecasts by international analytical agencies, this year Russia will have the largest crop of wheat in the world – more than 70 million tons, of which 30 million tons will be exported. 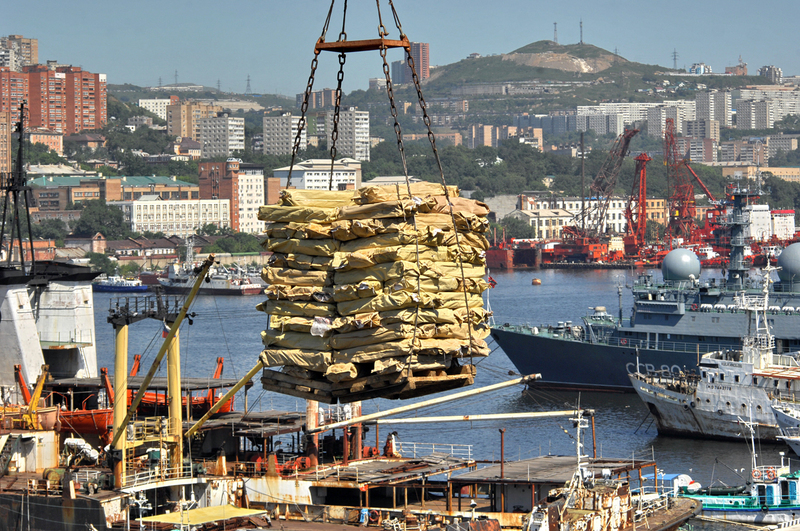 The Russian government has ambitious plans to export grains through the ports of the Far East. In 2018, a grain terminal with capacity of 10 million tons will be built in the port of Zarubino, which is part of the Vladivostok free port zone. The aim of the project is to spur grain production in the region, says Marat Shaydaev, General Director of the United Grain Company.